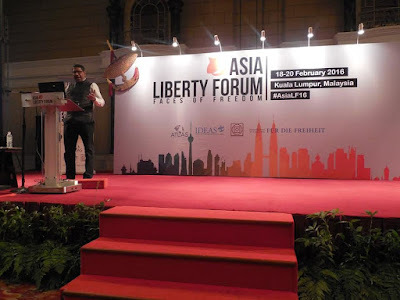 During the Asia Liberty Forum (ALF) last February 18-20, 2016 in Kuala Lumpur, one session at the Freedom Dinner was a toast to the "Lost Heroes of Liberty". These are known free market and freedom leaders who passed away in 2015, and few years ago in the case of Aslam Effendi. Baishali Boomjan of the Center for Civil Society (CCS, India), among the key organizers of the conference, asked me to be one of the presenters, I accepted. He died on November 23, 2015 at age 95.” Fogel died in 2013. According to the Royal Swedish Academy of Sciences, North "has pointed out that economic, political and social factors must be taken into account if we are to understand the development of those institutions that have played a role for economic growth and how these institutions have been affected by ideological and non-economic factors." North showed that England and the Netherlands industrialized more quickly because the guild system, which imposed restrictions on entry and work practices in various occupations, was weaker in those two countries than in other European countries. Let me illustrate North’s contribution with this graph. 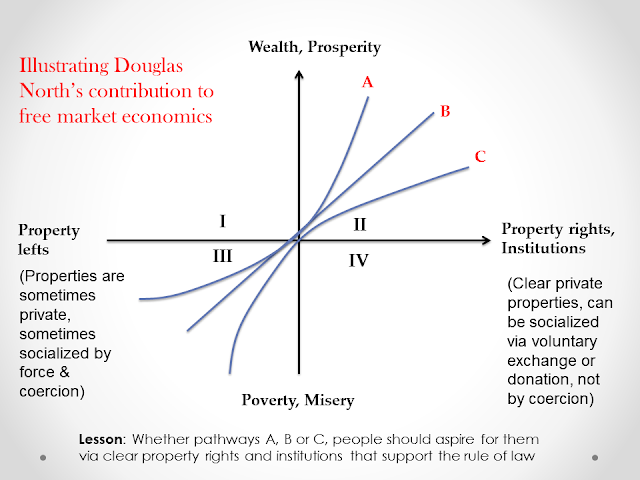 Property rights are among the key words of D. North's ideas. 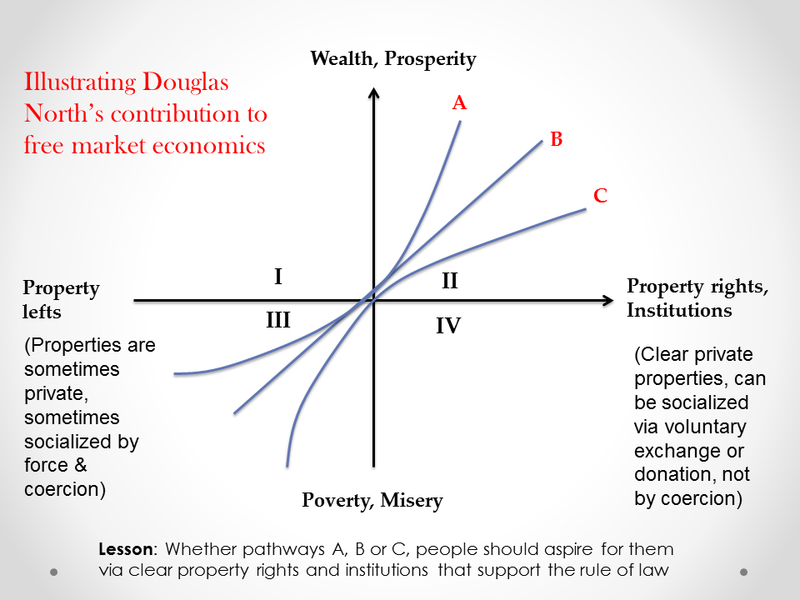 "Property lefts" is just my invention to highlight the importance of property rights protection. I don't have any picture in that session. Anyway, the session was followed by a Freedom Speech by Parth Shah, President of CCS. He discussed about individual's political choice in the government budgeting system.